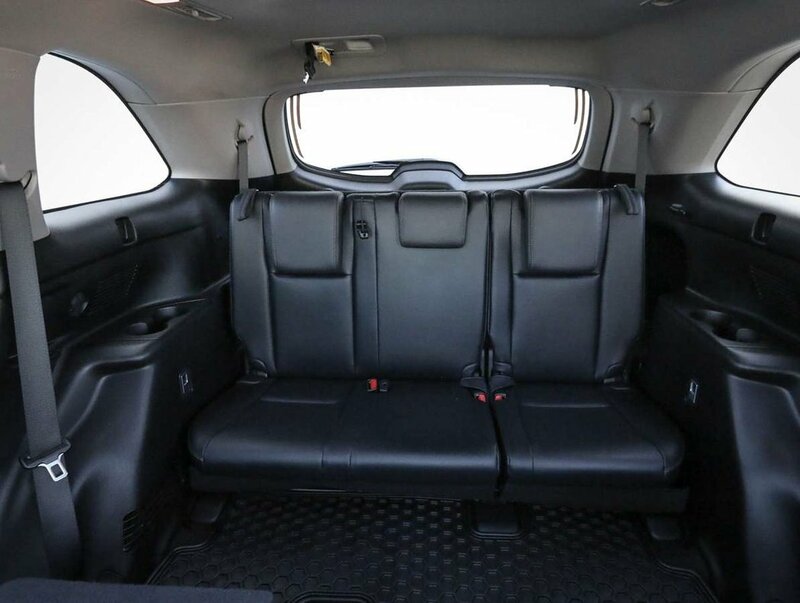 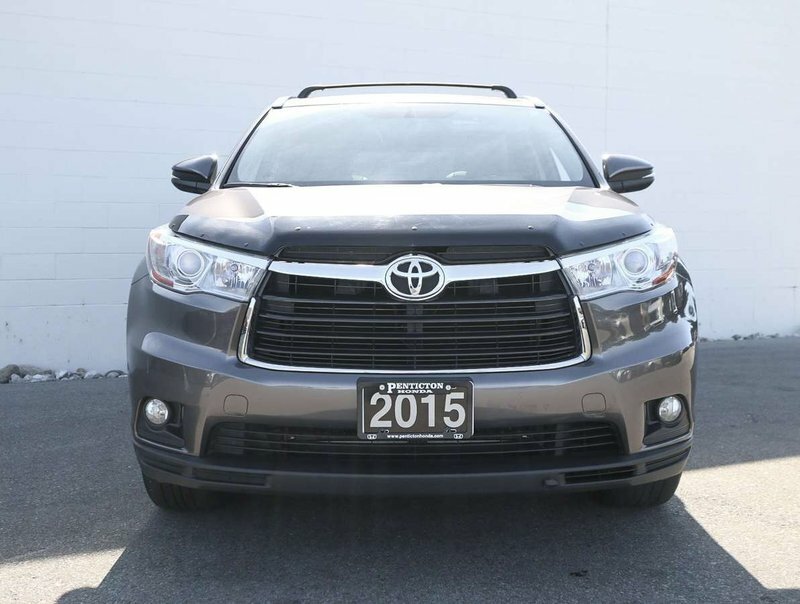 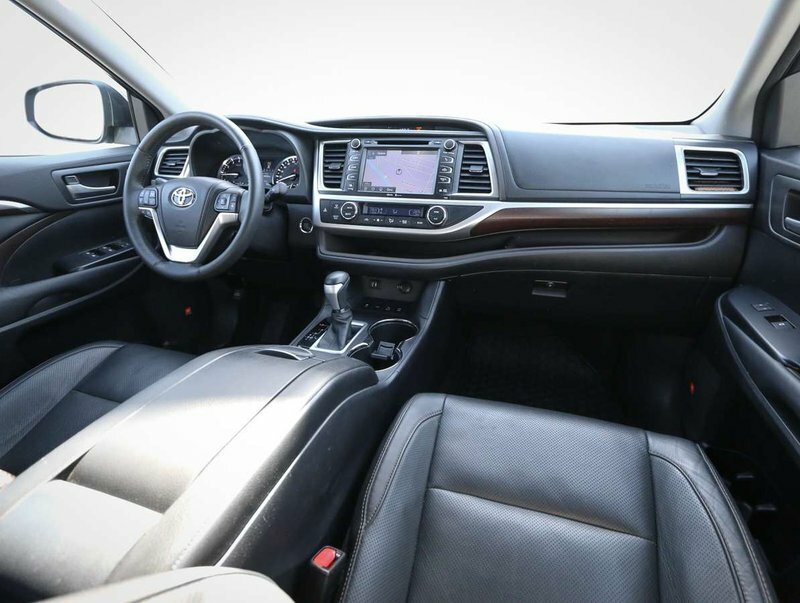 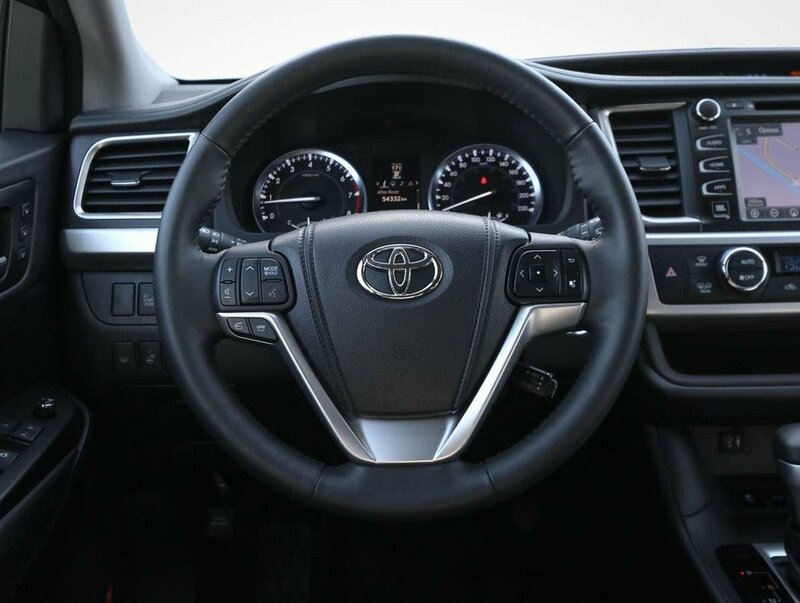 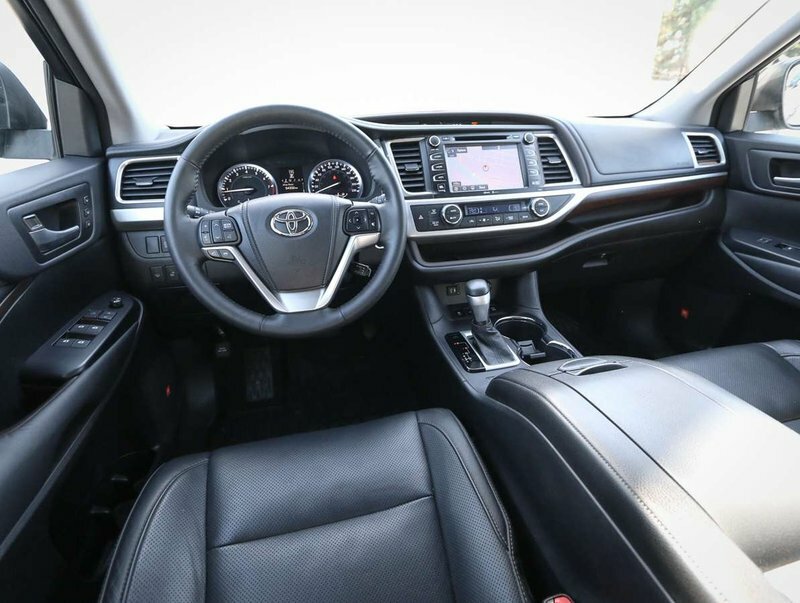 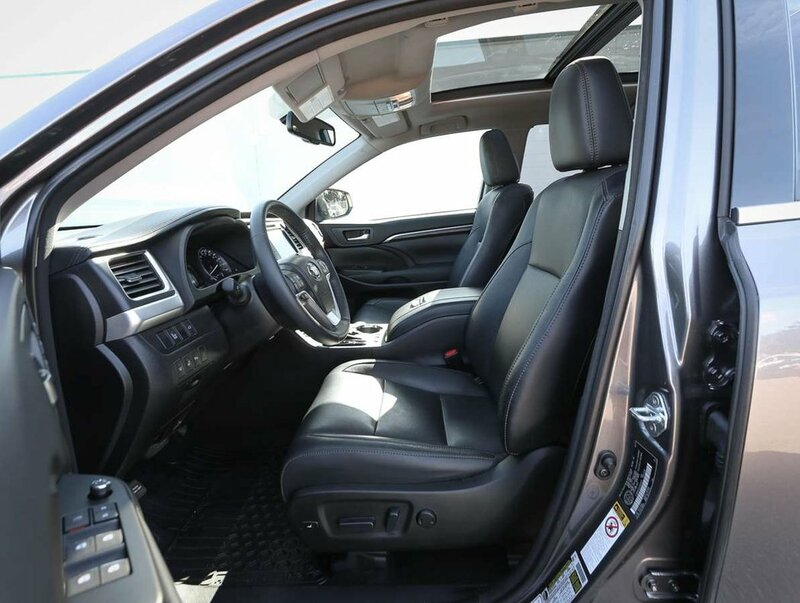 We recently purchased this 2015 Toyota Highlander from a dealership that concentrates on new vehicle sales, and after we reviewed the SUV's information, and saw the beautiful condition of the "Pre-Dawn Grey Mica" exterior, and the show-room condition of the black leather interior, we knew our customers would appreciate a more diverse selection of pre-owned inventory. 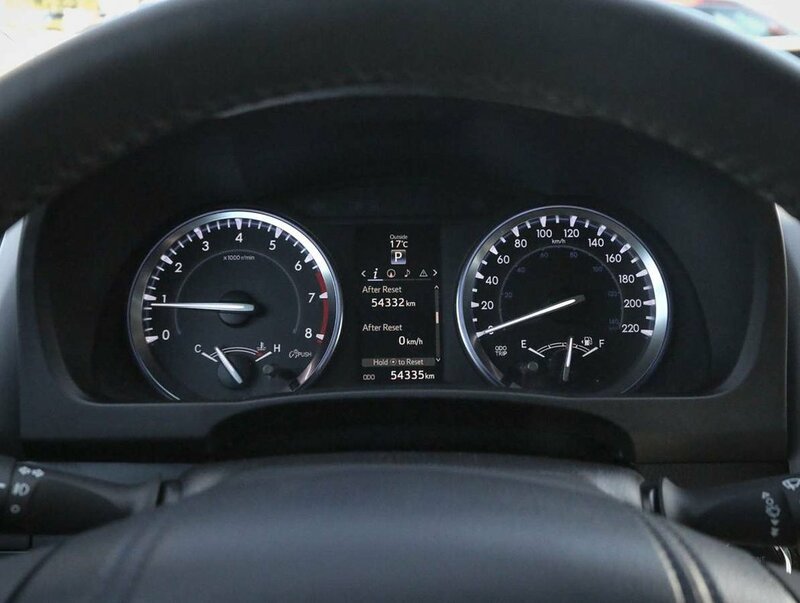 With only 54, 332 KM's, the Highlander even has over 45,000 km's, or 1 1/2 years of it's powertrain warranty remaining. 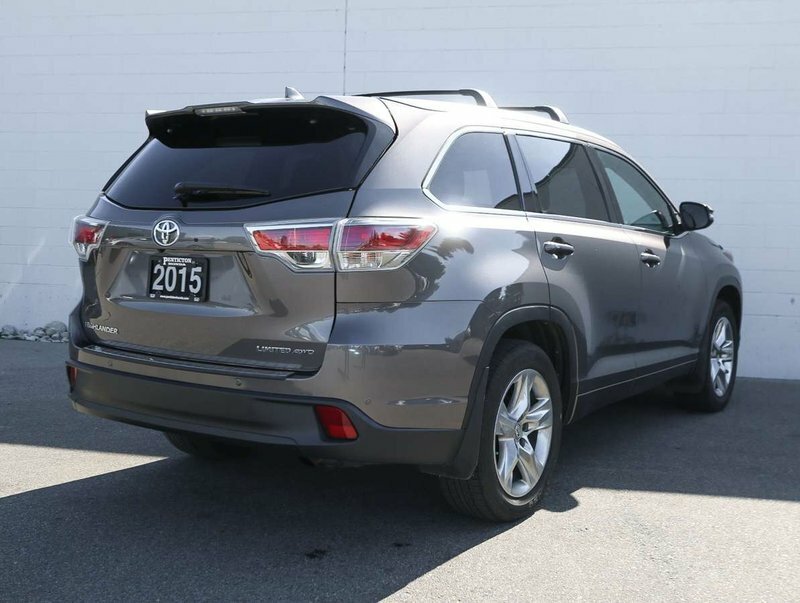 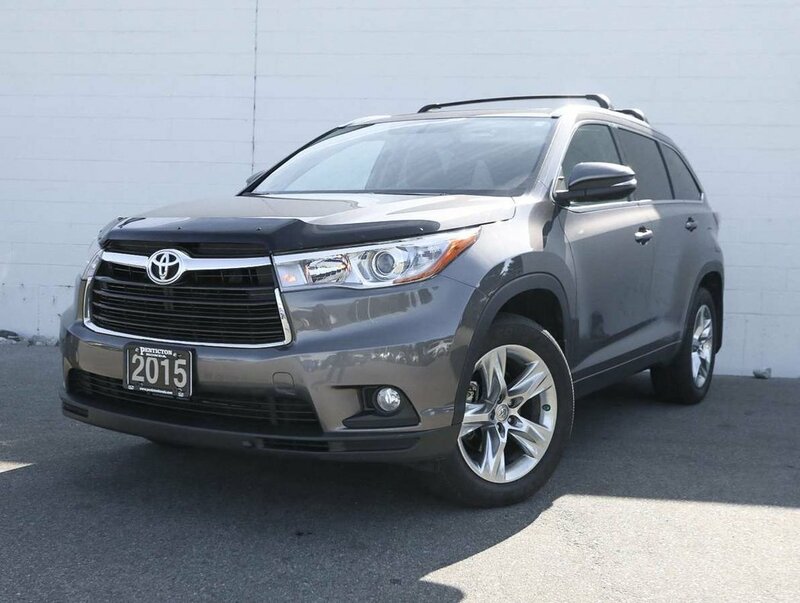 Rated for reliability, a smooth ride, ample cargo space; this 15' Highlander is a great, and safe choice for a family-friendly mid-sized AWD SUV! 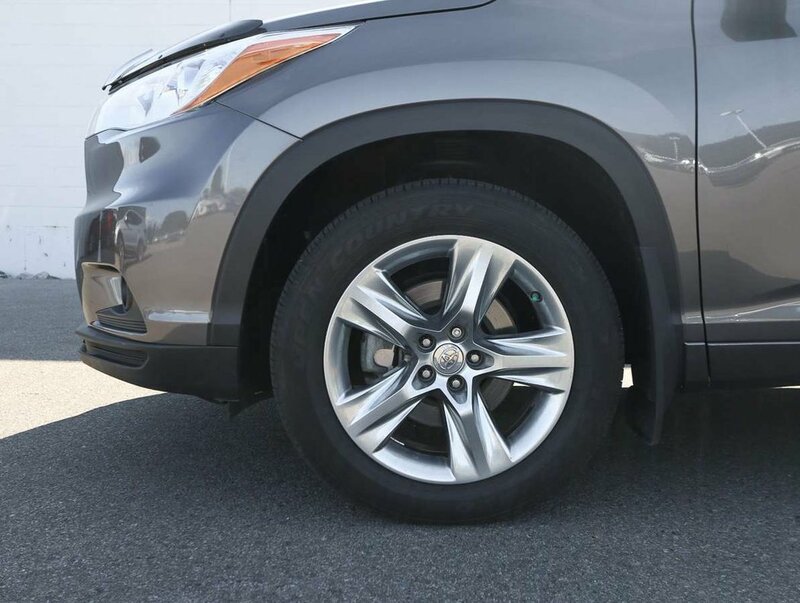 Of course, we have put the Highlander through a multi-point, comprehensive used vehicle safety inspection in order to ensure driving quality. 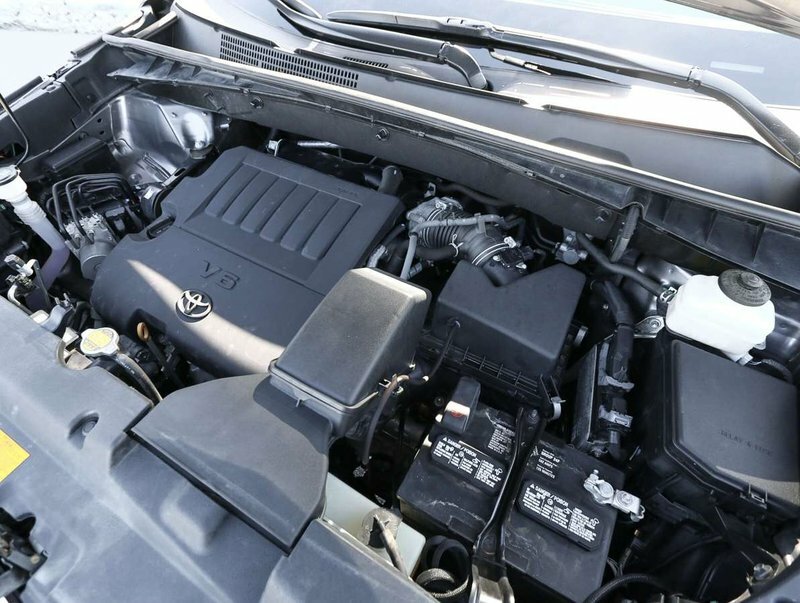 As part of that inspection, the fluids have been topped up, the oil/filter changed and the tires filled with nitrogen for longer wear. 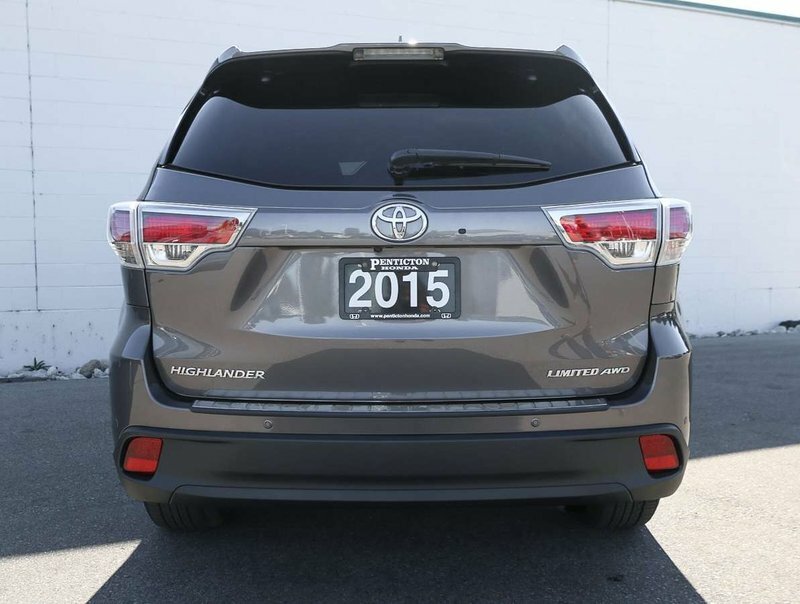 This 15' Highlander is in optimal driving condition and is more than ready for it's next family adventure! 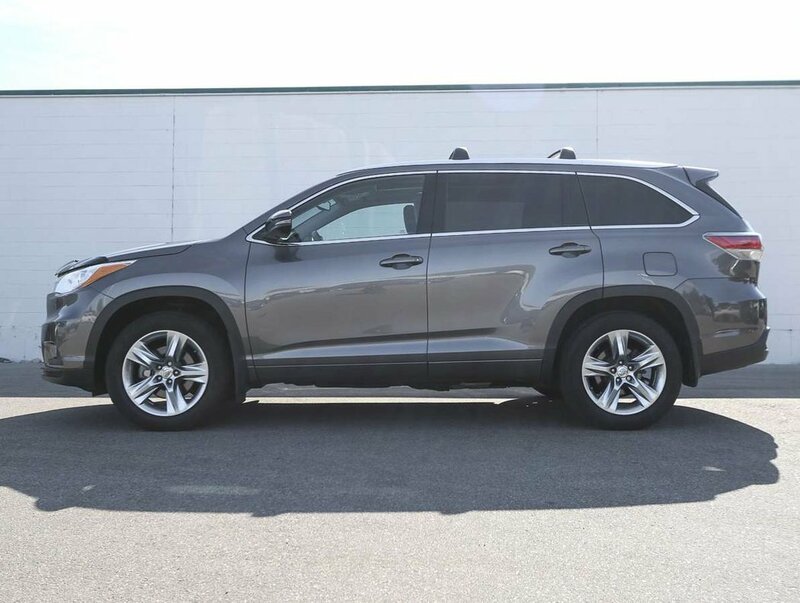 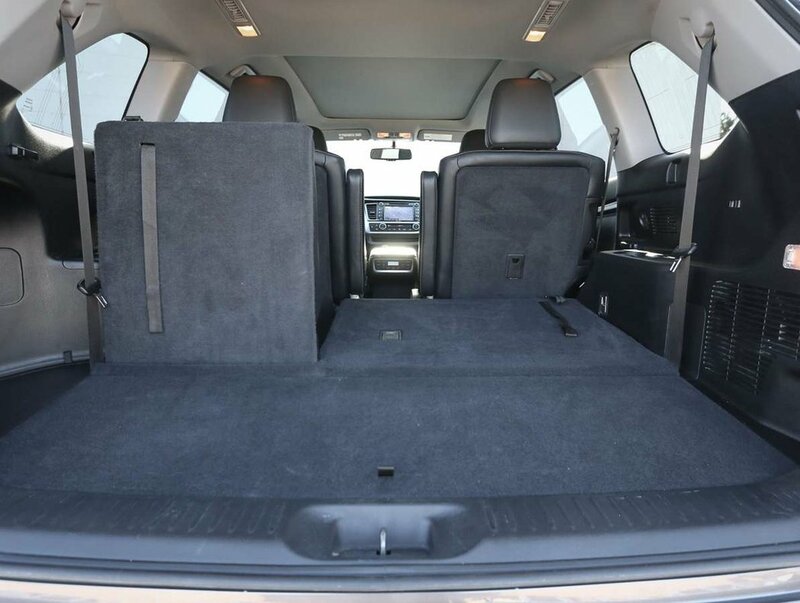 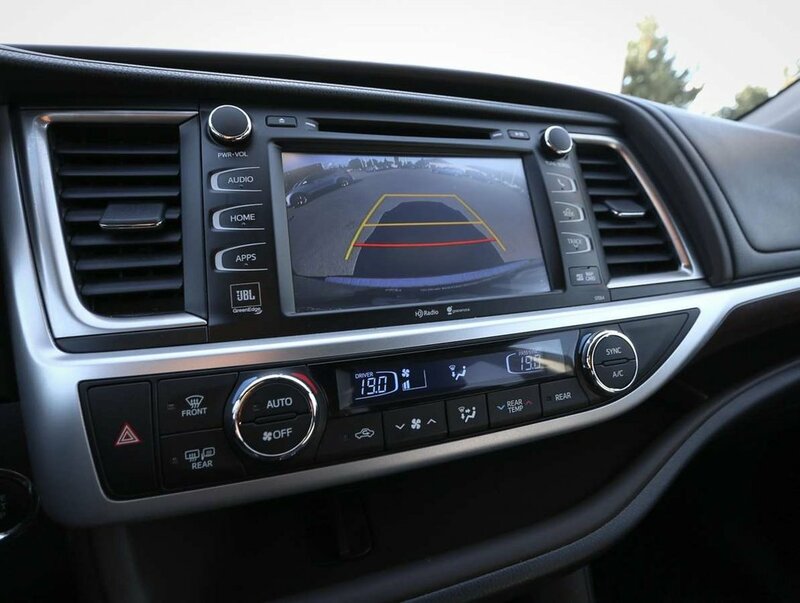 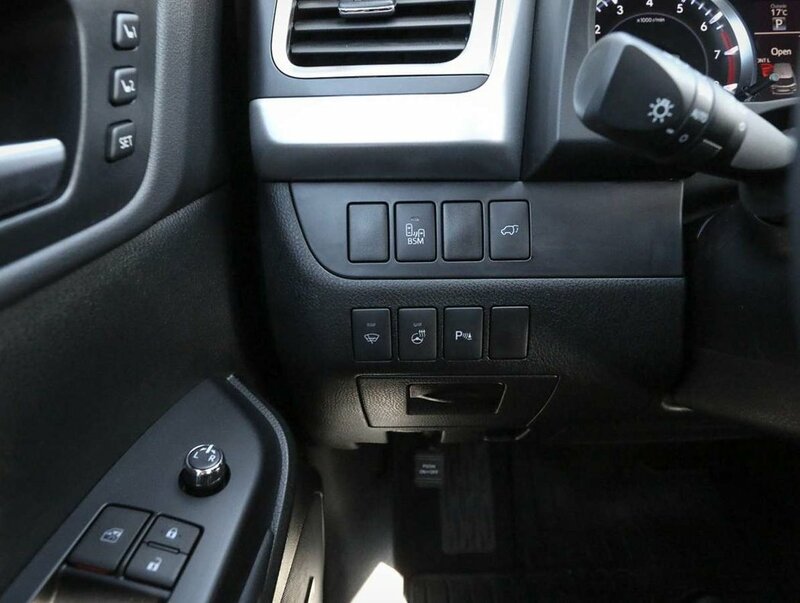 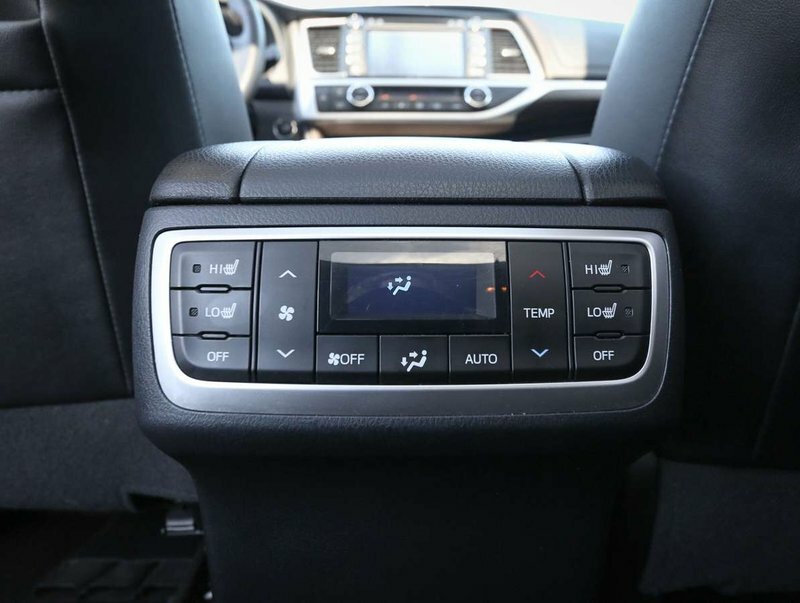 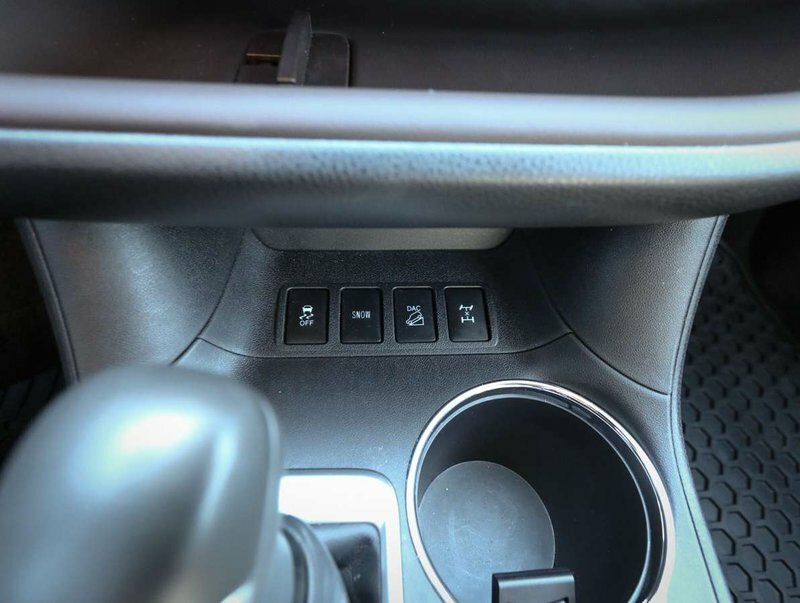 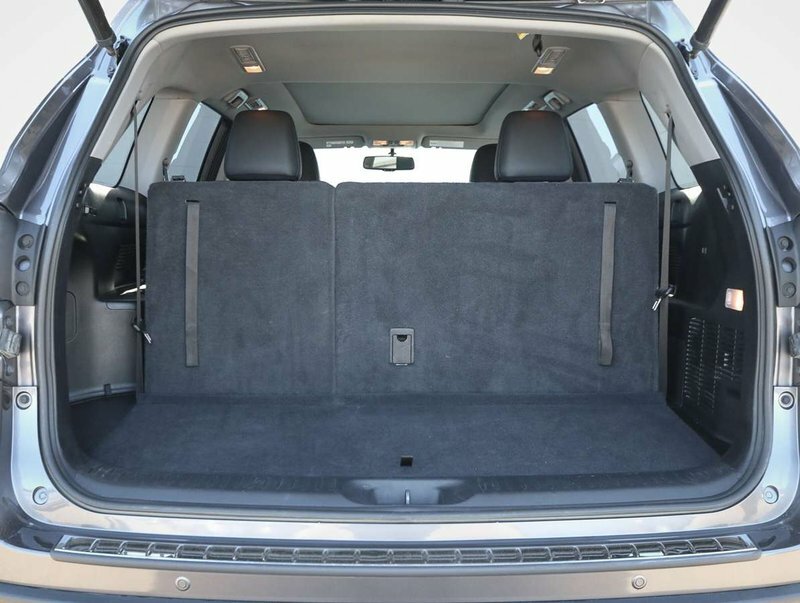 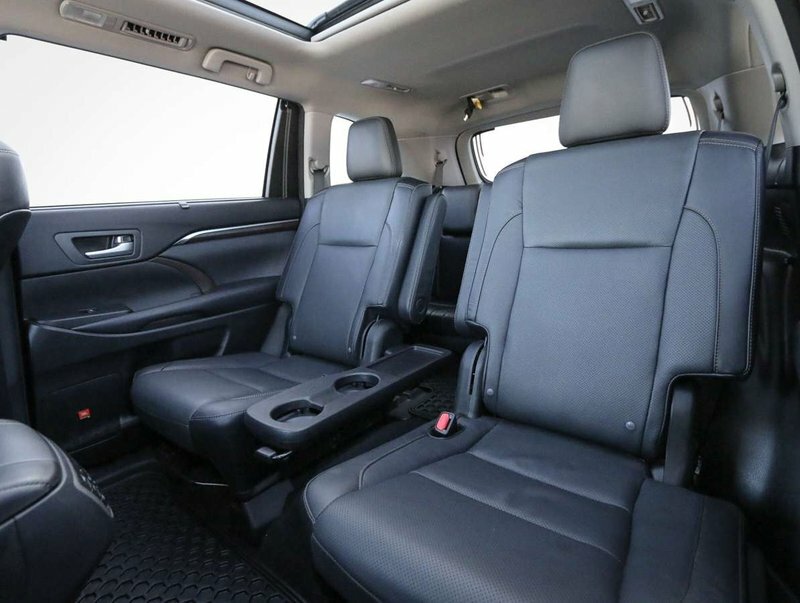 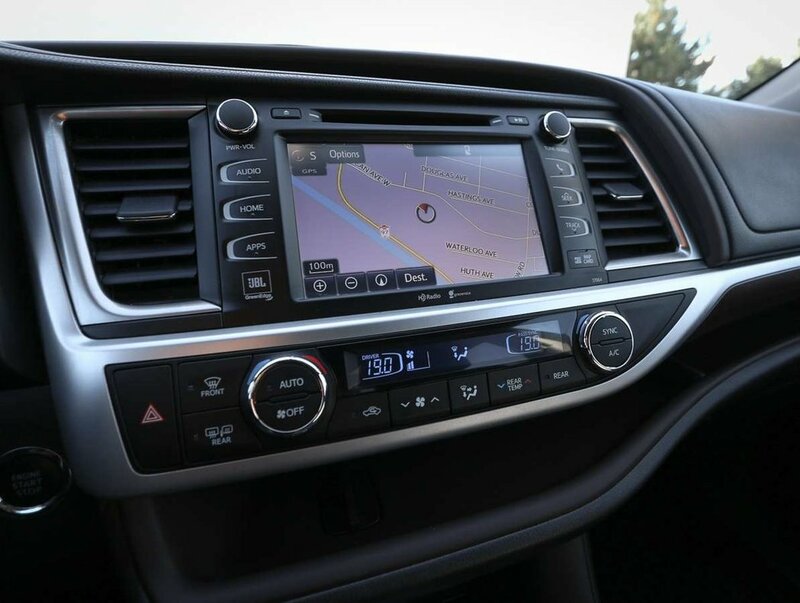 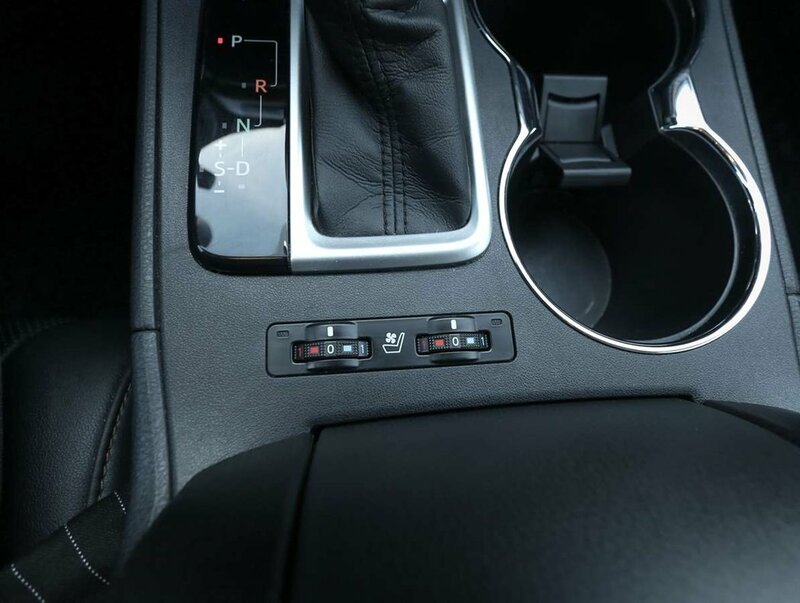 The Limited model is the top-trim level for the 2015 Highlander, and comes with many features including: touchscreen navigation, back-up camera, heated/ventilated leather bucket seats, heated rear seats, seating for 7 passengers, winter mats, AM/FM/SXM/CD audio system with JBL speakers, power panoramic sunroof, power liftgate, heated steering wheel with cruise/audio and Bluetooth controls, bling spot monitoring, parking sensors, power/memory driver's seat, power passenger seat, roof rails, fog lights and so much more!